Shrunken Heads are great! 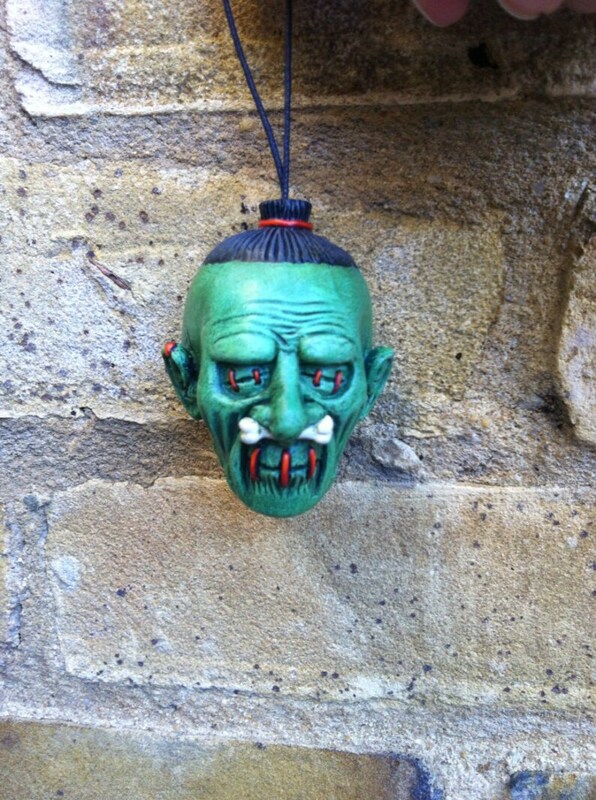 In fact, we think they're so great we made three different colours of shrunken heads! These nifty decorations are made from a ceramic polymer, so are sturdy and hardwearing . Can be used as car mirror decoration, rope pulls for the bathroom/kitchen/boudoir, they'd look AMAZING in your tiki bar, or just sitting on your bookshelf. Trust me, you can't live without one of these! Limited edition of 75, this is the Green variant.